Mouser Electronics is proud to announce its sponsorship of the GEOX DRAGON Formula E Team throughout the 2018-19 racing season. Mouser is backing the team this year in collaboration with TTI, Inc. and valued suppliers Molex and AVX. This marks the fifth-straight year that Mouser and Molex (News - Alert) have sponsored Formula E racing. The Mouser-sponsored team takes to the 2.093 km Autódromo Hermanos Rodríguez track at the Mexico City E-prix on February 16. "Formula E cars require the latest sustainable and - most importantly - high-performance components to gain a competitive edge," said Todd McAtee, Vice President, Americas Business Development for Mouser Electronics. "By teaming up with TTI, Molex and AVX to sponsor Formula E, Mouser shows its commitment to keeping engineers up to date with innovative technologies." Team drivers for Season 5 include three-time World Touring Car Driver's Champion and multiple FIA Formula E podium finisher José María "Pechito" López, along with Formula 2 race winner and former DRAGON Test and Reserve driver, Maximilian Günther. The team is also in discussions to bring on former Formula 1 pilot and reigning IMSA Champion, Felipe Nasr. "TTI is proud to again partner with Mouser to support this exciting sport and what it means to sustainable automotive technologies of the future," said Mike Morton, TTI Chief Operating Officer. "We are all looking forward to this season of Formula E. The Gen2 car is a huge step forward in electric racing technology, and it will be exciting to see how it evolves the already popular sport," said Fred Bell, Vice President of Global Distribution for Molex. 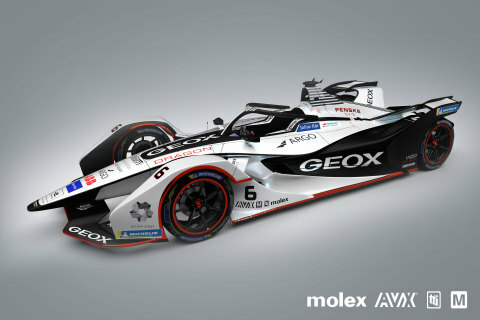 "As proud supporters since the inception of Formula E, Mouser and Molex wish the GEOX DRAGON team a very safe and successful season on the road." "At AVX, we are thrilled to be partner with Mouser, Molex, and TTI to support this incredible racing technology," said Eric Pratt, AVX's Senior Vice President of Marketing. To further support GEOX DRAGON drivers, fans are encouraged vote for their favorite driver in FANBOOST, which allows fans to play an active role in influencing the outcome of the race. FANBOOST gives fans the opportunity to vote for their favorite driver and award them an extra boost of power during the race. The five drivers with the most FANBOOST votes are awarded a significant burst of power, which they can deploy in a 5-second window during the second half of the race. FANBOOST voting for the Mexico City E-Prix opens February 11 and is available all the way up to 15 minutes into the race. 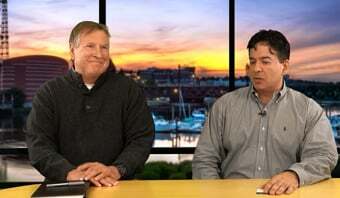 GEOX DRAGON was founded in 2006, by Owner and Team Principal Jay Penske. GEOX DRAGON is headquartered in California (Los Angeles), the largest EV market in the world, and has additional racing operations in Britain (Silverstone, UK). In 2014, GEOX DRAGON became one of the three founding teams of the FIA Formula-E Championship. The team finished Runner-Up (2nd place) in the Championship in 2015 and scored the first ever Formula E race wins in both Germany and Mexico in 2016 and 2017. GEOX DRAGON develops its powertrains under the Penske Autosport marque. The team's engineering and mechanic personnel are some of the finest and most experienced engineers and crew in the world, collectively accumulating over 185 years of racing experience, and achieving over 220+ race wins and 17 Championship titles. GEOX DRAGON's pilots for Season 5 include three-time World Touring Car Driver's Champion and multiple FIA Formula E podium finisher José María López and Formula 2 race winner and GEOX DRAGON test and reserve driver Maximilian Günther. GEOX DRAGON's team motto is the Latin phrase "E Pluribus Unum" - meaning "out of many, there is one."